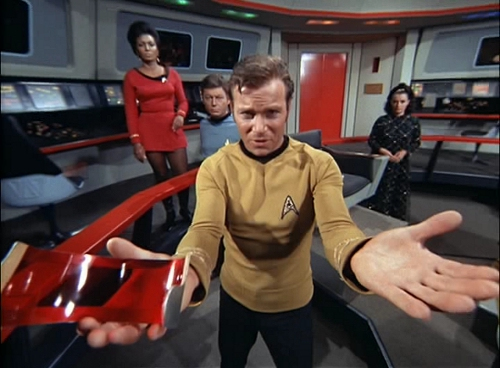 48 years ago this week, William Shatner and Leonard Nimoy stopped filming of a Star Trek episode in protest over the script! They were working on “Is There in Truth No Beauty” (July 16 – 24, 1968) when the incident occurred. What was their beef? It was the dining room scene where Miranda Jones, played by Diana Muldaur, compliments Mr. Spock on the IDIC medallion he wears. So what called the protest which delayed filming? Roddenberry had actually written the scene they were to film that day, with dialogue explaining the IDIC medallion worn by Spock. 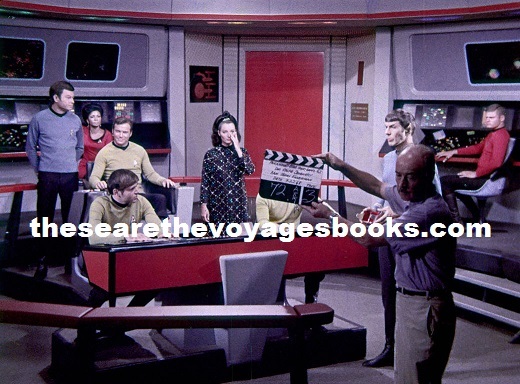 Read all about the roller coaster ride that became “Is There in Truth No Beauty?”, and all the other third season episodes of Star Trek: TOS [The Original Series], in Marc Cushman’s critically acclaimed book, These Are the Voyages, TOS: Season Three, available here.